OFFER - Three Months Trial for £1. When a 3 month trial is taken up we will pay out a £1(inc VAT) commission. Commission only paid on completed sales. Commission includes VAT. Delicious dining deals… Up to 50% off meals at thousands of restaurants! 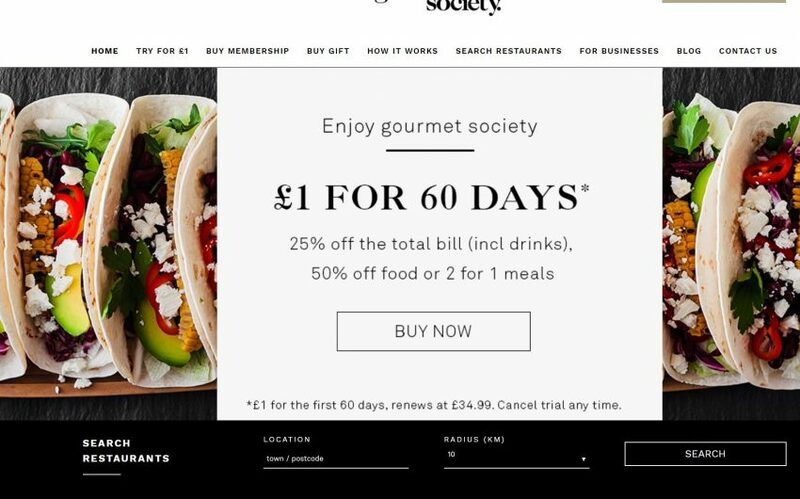 Offer your visitors up to 50% off meals at over 6,000 restaurants throughout the UK and Ireland with membership to the Gourmet Society. 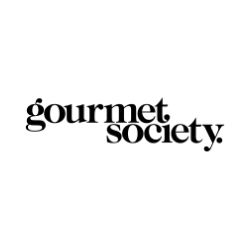 Gourmet Society membership is particularly appealing to savvy consumers who want to save money on dining out and other social activities, especially in these current economic times. A handy Gourmet Society dining card offers fantastic discounts at a great selection of restaurants, ranging from popular chains like Café Rouge, Bella Italia, La Tasca, Prezzo, LOCH FYNE and Strada, to Michelin-starred fine dining establishments, as well as local favourites. With so many restaurants to choose from, there’s something to suit everyone. Take advantage of these great discounts with a Gourmet Society dining card: 2 for 1 meals, 50% off the food bill or 25% off food AND drinks. Members can save hundreds and even thousands of pounds during the membership – and in many cases, discounts can be accessed at weekends too! This is the hassle-free way to restaurant savings. No vouchers to print, no restricted set menus. Simply take your pick from the full à la carte menu and enjoy great deals at a superb selection of restaurants. Gourmet Society members receive their own personal dining card in addition to access to the handy smartphone app, so they can start saving instantly, as well as locate participating venues on the go.